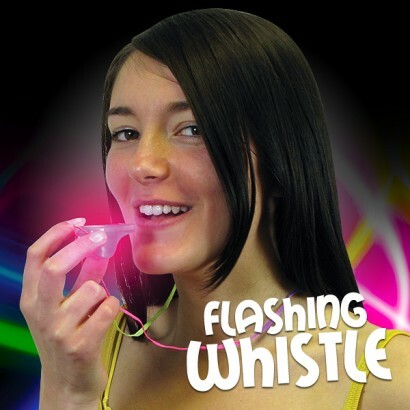 Ramp up the fun factor at your parties and events with serious party sounds and flashing colourful lights! 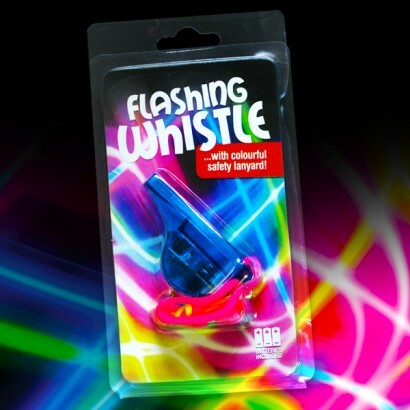 Flashing whistles are packed with red, blue and yellow LEDs to add extra excitement to your party bringing instant party atmosphere. 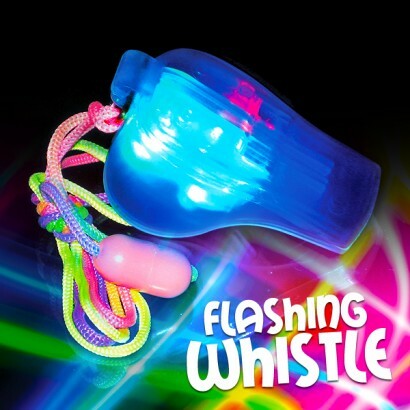 Supplied on a safety lanyard, press the button on the under side of each colourful whistle to activate for light up hands free fun with all the sounds!